Every American kid who grew up in the 70s and 80s probably had more than their fair share of curious meatlumps and squishy sketties from a can courtesy of this dude. 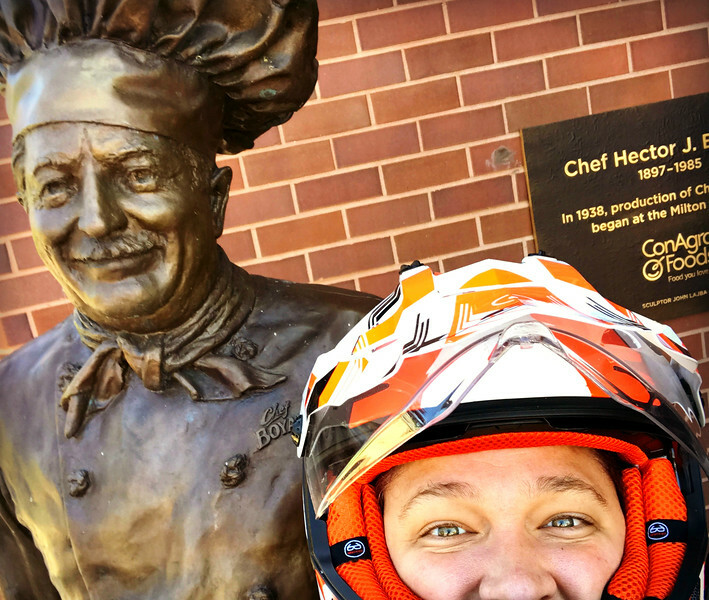 The man with the can – Chef Boyardee. Most people probably think Chef Boyardee was just a marketing character. But no, Hector Boiardi was a real man with a plan and not just a can. 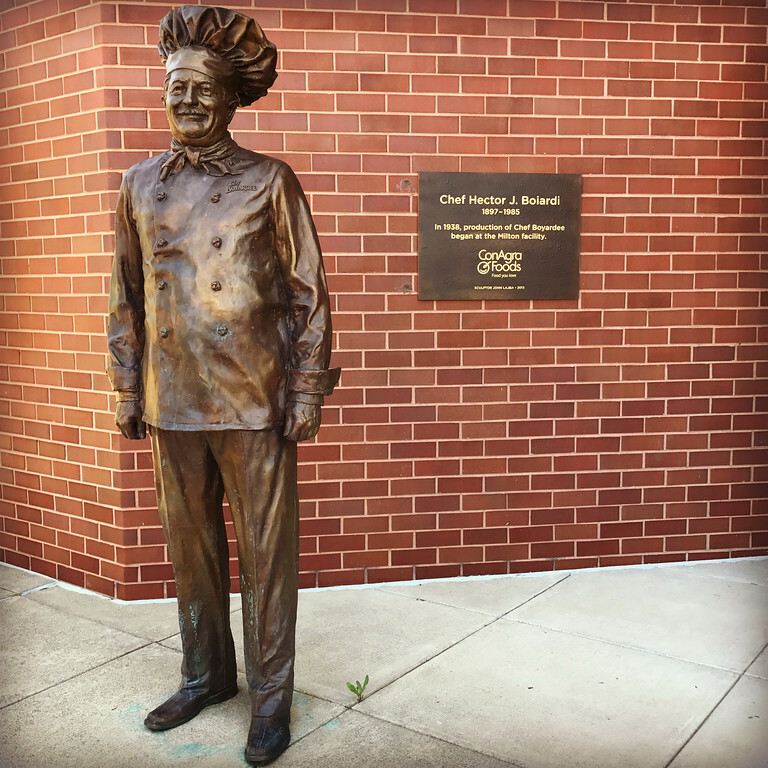 A statue of his likeness stands outside of Con Agra Foods in Milton, Pennsylvania.